I was nominated by my good friend Diana Eichfeld over at Stampin' Fun with Diana. 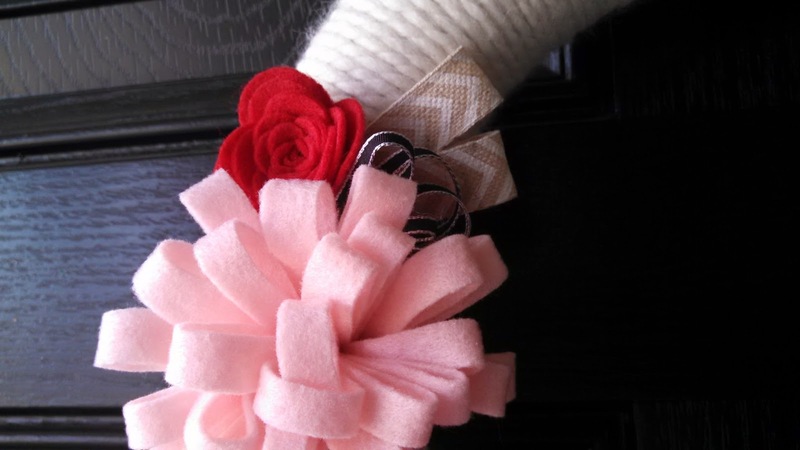 Go visit her blog and see what she created for her project! 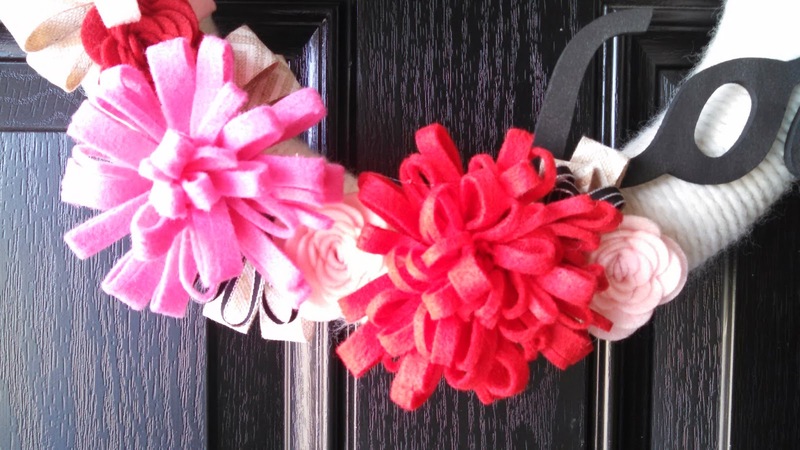 I have been wanting to create a new wreath for my front door for Valentines Day, so I broke out my big shot spiral flower die and some felt and went to town. 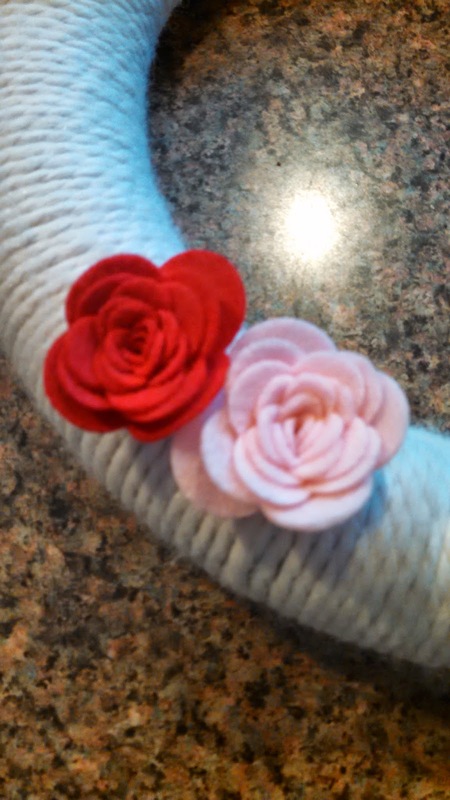 I love how fast and easy these flowers are to create. It was the perfect little touch to place next to my pom pom style flowers. I started with wrapping my wreath with fluffy off white yarn. This took the most time but with the tv on and a good cup of coffee by my side, I was set to wrap! These are two of the cute little rose flowers I created with the big shot flower die. After all my flowers were made, I placed them on top my wreath to get the exact location for all of them and then started hot gluing in place. 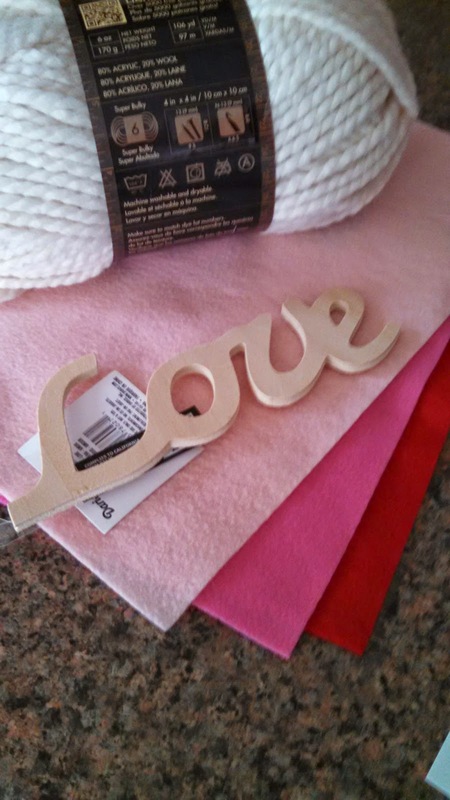 I spray painted my wooden word "love" in black and hot glued it to the right side of my wreath. Aren't the cute little pom pom flowers so cute?! After all the flowers were glued in place, I went back and added in a little chevron ribbon and some wrapped clusters of black 1/8" ribbon to accent the flowers. In addition to posting a card or project, the hop creators asked each participant to answer the questions below. 2. How does your work differ from others in your genre? I tend to use layers vs. a single card layer. 3. Why do you create what you do? I create what I do for the simple reason of "it keeps me sane"!!! I do day care in my home with up to 5 kids at times, and by the end of the day, I am in need of some relaxing stamping time! 4. How does your creativity process work? I always start with either a sketch challenge or a color challenge and work from there. Second step would be selecting the stamp set. I hope you have enjoyed my creative blog hop project. I hope I have inspired you to go be creative! 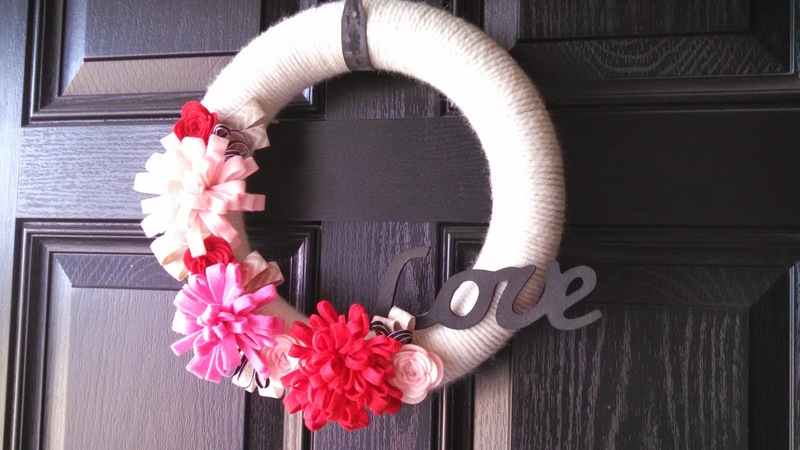 Love the wreath and all the texture, awesome!